If you’re unfamiliar, there are bucket list bloggers in the blogosphere. Essentially, what they do is compile, as you would expect, a list of things they want to do under various categories, do them, and then write about them on their blog. One such blog that I follow is Project Light to Life by Christine. If you haven’t already followed it, I would highly recommend it because it’s not only uplifting and sure to make you smile, but, as is the case with me, inspiring. And that is the source of this blog post and the act therein, so a special thanks to Christine! Admittedly, I wasn’t sure how to write about this or even what to title it, so Christine has a category for bucket list acts on her blog referred to as “Kind Acts & Volunteering.” I figured “Kind Acts” is where this action would fall under. Now, to be sure, I don’t particularly view this as a “bucket list” item per se. That is, it’s something I’ve done repeatedly in the past and will most assuredly do again in the future. In fact, I was thinking about a way to make this more bucket list-like and I had an idea. It’s just twirling around in my head, so it’s not been refined, but I was considering how cool it would be to go to every state in the United States and leave similarly large tips at restaurants. Now that is something for a bucket list. My mom and I went to Chili’s Grill & Bar last night, which is only a few minutes from our house. I’ve always liked that restaurant, as it’s simple, but has a fairly good food selection. If anything, I would say their appetizers are the best of the selection they offer. A week ago, my mom wanted me to accompany her to Frisch’s, but I didn’t go. I figured this would be a nice way to make up for that by taking her out to dinner. Anyhow, well, I forget what she ordered as the main course, but we shared potato skins for an appetizer. I also had tortilla soup – one of my favorite foods, ever. I’m a fan of spicy and that’ll do it for you. Thankfully, I had a large mug of Blue Moon (with an orange slice, you have to have the orange slice – and if you’re me, you drop the slice into the glass itself) to wash it down with. For the main course, I had the smokehouse burger topped with bacon, BBQ sauce and onion ring strips. Let’s just say, I feasted last night. My mom seemed to enjoy her meal as well. The waitress did a good job, I thought, of servicing us. She didn’t do anything particularly special, but the service was good, nonetheless. As usual, when the bill comes, we like to play a guessing game. I flubbed that, as I looked at it right away, but my mom guessed $35 and it was actually $40.91. My damn Blue Moon was $5.75 by itself, but I don’t mind, as you pay for quality and that’s quality right there. Then it was time to leave the tip. Now, leading up to leaving the tip, I had no plan or prior notion of leaving a big tip. I usually leave around 20% as a general rule unless the service was somewhat subpar to warrant a lesser percentage. However, I thought about Christine’s blog and the “kind acts” she was doing on a regular basis and felt inspired! Here was my chance to do something kind too. I would leave a big tip for the waitress and hopefully make her night. But I wasn’t sure how much to leave. Should I do 25%, 30%, etc.? Well, my motto is, “Go big or go home.” None of those would do. I decided upon $41.09 on a check of $40.91 mostly because I wanted the even $82 and it amounted to a tip over 100% (100.4% to be exact, as I was told). I’m not a math guy; I definitely used my flip phone to make these calculations under the table. Then after putting the numbers down on the check and signing my name, I felt I needed to write a quick little note or maybe a smiley face or something, but I froze. I didn’t know if I should or what I would say, like some inspirational quote, maybe? I ended up saying nothing and just leaving from there. But it’s the weirdest physiological reaction. I am so odd. As I was writing the numbers down, my heart started beating really fast and my legs got all shaky like I was doing something mischievous. I guess it’s just the anticipation of knowing she was going to see it. I couldn’t help but smile. I hope it made her night. In the future, I hope to continue doing things that would follow under “kind acts” and sharing them with others. Maybe someone else will find inspiration in this. Great story. Generous giving such as this can produce such joy — in both those who give and those who receive. Well done! Definitely! It really does. I was all giddy afterwards. I can’t even imagine what her reaction was! Brett, this blog post has seriously made my night! I loved reading this whole thing and omg, what a generous act; that waitress must have been thrilled 🙂 Like I said, you not only made my night, but hers too I’m sure! 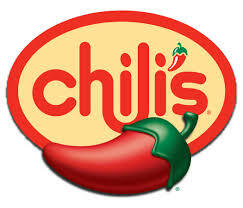 And btw, I love Chili’s and that meal sounds incredible, haha. My favorite is the quesadilla explosion salad and this post is quite the coincidence because although it sounds like I’m just saying this, my mom and I honestly went there to eat last night! Whoa, that is a funny coincidence! Great minds think alike, as they say lol.